Take a deep breath everyone… COMPETITIVE FOOTBALL IS BACK! 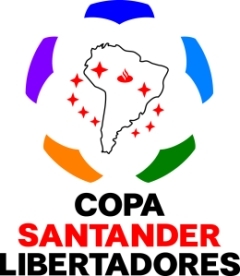 Arsenal de Sarandí played the first meaningful match featuring an Argentine top-flight side of 2008, in their first ever game in the Copa Libertadores. It was a good start, too – they beat Mineros de Guyana of Venezuela 2-0 in El Vidaucto in the first leg of their qualifier. In so doing, Arsenal managed a feat they failed to acheive during their successful Copa Sudamericana campaign last year – they won a continental match in front of their own fans. José Luís Calderón was man of the match as the Sarandí side put pressure on the visitors early on and did what they could to give him and strike partner Luciano Leguizamón their chances. Calderón scored the first, finishing off a good move begun by Alejandro Gómez four minutes before the break. In a first half which had seen Mineros create just one chance of any note, it was a well-deserved lead for Arsenal, and one they added to further when Leguizamón, with twelve minutes remaining of the second half, took a quick free kick and put it beautifully into the far top corner from where the goalkeeper had been standing. Next Tuesday, Arsenal will play the return leg in Guyana, with both a comfortable cushion to defend and the knowledge that their away form in the Copa Sudamericana was so good it essentially won them the trophy. As with all our competitive match coverage, goal videos will be up on the site as soon as possible.